Cruiser Safaris hunting client Frank Corona, reference letter and hunting photos. 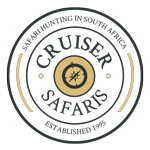 Cruiser Safaris! Truly "Dream Makers". I asked my wife for her number one dream and she told me to see Africa. I looked for three months on the Internet and found myself always going back to the Cruiser Safaris web site. Every question I had was already answered for me. Cruiser Bob will take care of all your needs and details of your trip. You just can't believe how E-Z he makes it. Once your there, the camp and all the staff are beyond your imagination. 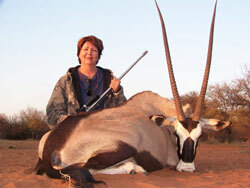 If this is your first or sixth trip to Africa, you can't beat the quality of Cruisers Safaris. The food, staff and animals are just unbelievable. I could talk forever but just read my news letter on their web site, August 2011. We are looking forward to going back as soon as possible. We miss Pieter, all the staff and your new found friends. We will always have this dream that they made come true, for as long as we live. PS: I really miss the food!!! 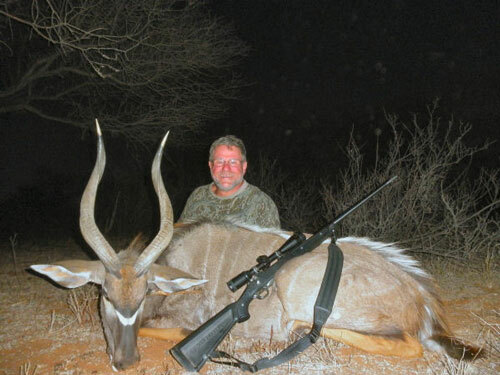 Frank hunted with Cruiser Safaris in August 2011.